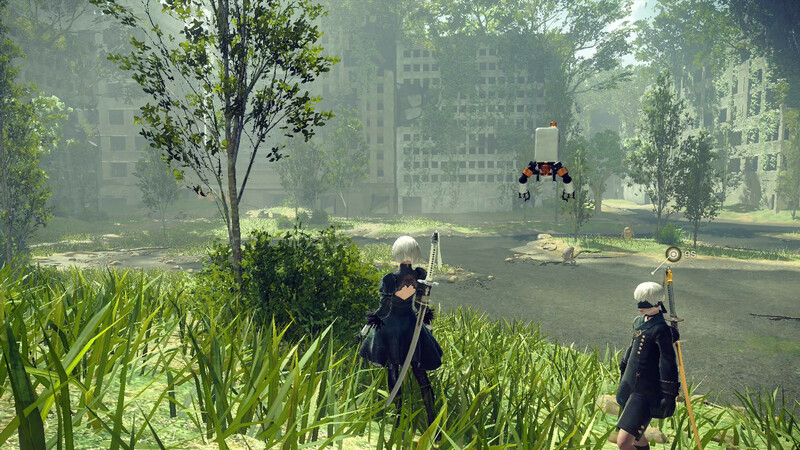 When NieR: Automata was first announced at E3 2015 I was shocked and overjoyed. One of my most cherished games ever would actually be getting a sequel, despite the development studio having gone under years earlier. When I saw that Platinum games was developing the title along with series creator Yoko Taro, I knew that we were getting something truly special. Fast forward almost 2 years, and now I have played through the entire game. 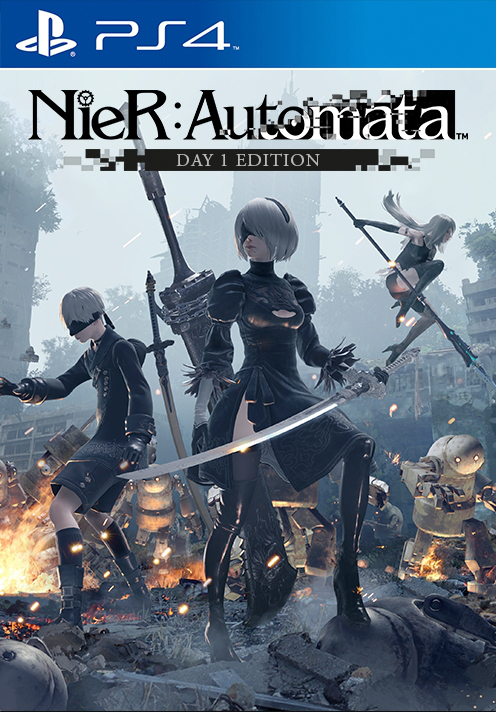 Does NieR: Automata live up to my very high expectations as a sequel to one of my favorite games of all time? The story of NieR: Automata is set thousands of years after the events of the first game. Aliens and their machine creations have taken over the earth and humanity has been forced to take refuge on the moon as a result. 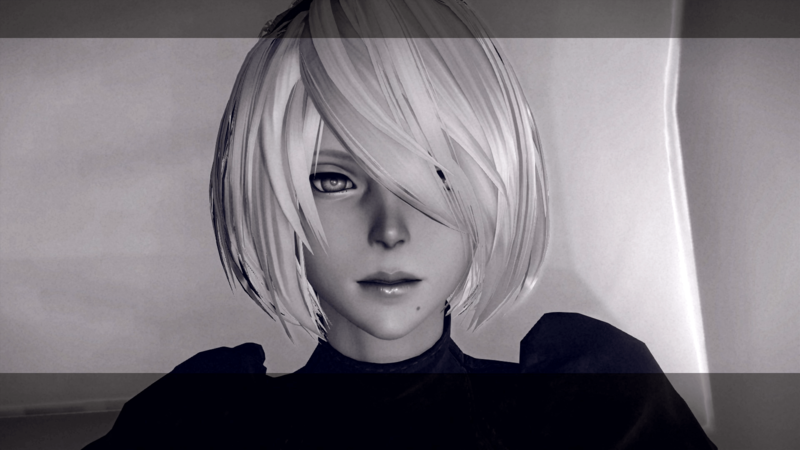 A group of androids called YoRHa are tasked with taking out the aliens and their machines. The story may not seem like much at first; in fact it may even feel like a huge disappointment when compared to the original. My initial feelings were that the story and characters felt kind of boring and flat, especially when compared to the hilarious and fun banter of the characters from the original game. As I progressed through the three different game scenarios however, I was quickly proven wrong as I learned that things were not all what they seemed. 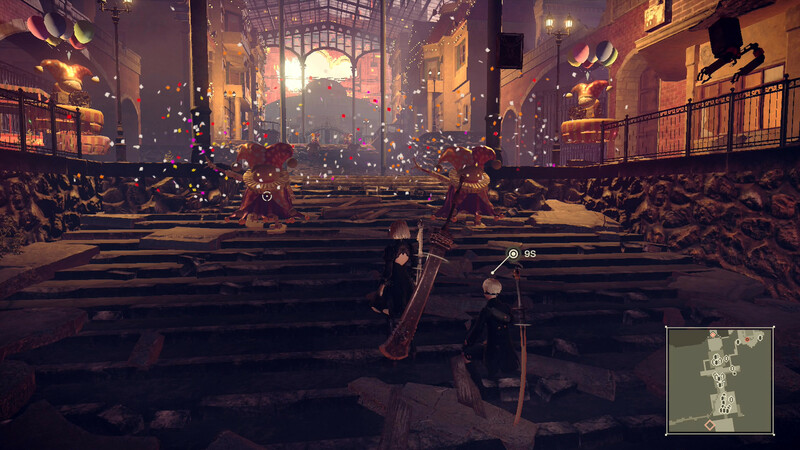 Much like the original NieR, you will not get the full story with just one playthrough, but with Automata you’ll need to do at least three to get gist of what’s going. Instead of playing the second half of the game again in new game plus, you’ll play through the same scenario as your first playthrough but from the perspective of a different character. This allows for a lot of new story scenarios and bosses to be added to what you already experienced to help give more depth to some of the things that may have felt shallow in your first playthrough. The story starts to come together near the end of your second route, and really starts becoming much more interesting and involved. Once you’ve completed your second playthrough, a new story begins that continues the first two playthroughs. This is where the story really started to shine, in my opinion. All the stakes were raised, and things became a whole lot more interesting. By this point in the game, I was much more into the characters, especially 9S, who is my personal favorite character in the story. By the time I finished all five of the game’s main endings I can safely say that this is a worthy sequel to NieR, especially with the way that all the events unfold, becoming more and more heartbreaking as you go on. It may be a slow build up, but the payoff is absolutely worth it. In addition to the five main story endings, there are also twenty one joke endings that you can get for doing things you’re not supposed to do during the story. Silly things like self-destructing your character in the headquarters of YoRHa or unequipping your character’s operating system. The joke endings are fairly short but are a funny little extra to the game. What I think is probably the most excellently designed thing about the story is that it can be enjoyed by anyone. Those who played the original game and know all of its lore in and out will find little things that will make them giddy and possibly even theorize about some very interesting possibilities. If you have played the first game casually or not at all, you will still find a very satisfying story that does well enough to stand on its own without previous knowledge of the original. Everything that you need to know is explained in the cutscenes, as well as short logs that you can find in your second and third scenarios. That alone makes me able to recommend this game to everyone. It’s not just its well designed story that makes me want to recommend it. NieR: Automata is an amazing game as well. Like I mentioned earlier, I suspected from the fact that Platinum games was working on this that it would be an incredible experience, and I’m so happy to say that I was correct. The machines in NieR: Automata are adorable. As soon as the game starts, you’re thrown into a very fun shoot ’em up scenario while being given a bit of back story about what’s going on. Even the ‘shmup’ parts of the game are more then they appear, as they constantly switch between your standard top down shooter and a twin stick one, both complete with some fairly light bullet hell elements that are nowhere near as difficult as a standalone bullet hell would be. It feels really fun to shoot down enemies in both standard shooter and twin stick style. When you’re in the twin stick shooter style, you’ll move your character with the left analog stick and control the aiming of your shots with the right stick, but you also have a sword attack for close range, if you like. Every so often the game shifts into this type of gameplay, and I really love these parts of Nier: Automata, and I’d love for more of them (maybe in future DLC.) The only negative I can say about them is that most of the boss fights in this style of gameplay generally devolve into holding down the fire button in front of the boss and spamming square at the same time for your sword attack until the boss goes down. After this short but sweet shoot ’em up sequence, we’re thrown into the main gameplay type, super fun and stylish hack and slash actiion. If you’ve ever played a game developed by Platinum before, you probably know what you’re getting into, but if you haven’t then you’re in for one of the smoothest fast paced action games you have ever played. It’s not just that that combat feels good; it also looks good. Attack animations are fluid, and satisfying sound emphasis is placed on each hit landed on your enemies to create a fantastic gameplay experience. It’s not just the attack animations that look and feel great; even little things like dodge animations are superb. Whenever you land a nicely timed dodge, the screen freezes for a moment and your character splits into several copies of itself. There’s no real practical reason for this, and you can’t actually use that as an attack, but it looks cool and makes some of the more frantic battles even more exciting. 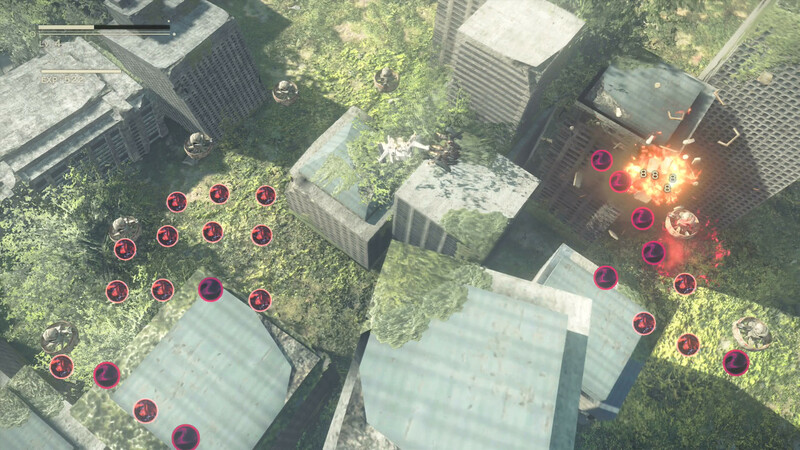 The combat has a lot of depth to it, too. You can equip two different sets of two weapons at a time. Whatever you equip to the square button will be used for a light attack, while what’s equipped to triangle will be your heavy hitter. It’s really fun to alternate between light and heavy attacks, especially to see just how the animations change based on whether or not you have a light sword, great sword, gauntlet or spear equipped. You can even switch your first set of equipment to your second in the middle of a combo by just pressing up on the D-pad, and it just keeps the combo going and feels so satisfying.